Now serving more USDA Prime: the best of beef. Restaurant-quality steak. Any night of the week. Why Marbling Matters > Marbling refers to the variegated, marble-like fat that adds rich, buttery flavor to lean meat. As your Prime beef cooks, the natural fat melts, adding unsurpassed moisture and flavor to every bite. Only the Good Stuff > While some competitors leave exterior fat on their steaks to add weight and flavor, we ensure that every piece of our Prime beef is delicious and nothing goes to waste. Our certified butchers remove the exterior fat from our Prime offerings because the superior marbling throughout the beef adds all the flavor you need. They also cut the meat for you in store, so you can bring home the cut and quality you want, without exception. Aged for Tenderness > Aside from generous marbling and expert trimming, our aging process also adds to the superior quality of our USDA Prime beef. We age our Prime beef for a minimum of 14 days for unmatched tenderness. Our stores have some of the most robust selections of USDA Prime beef you can find. 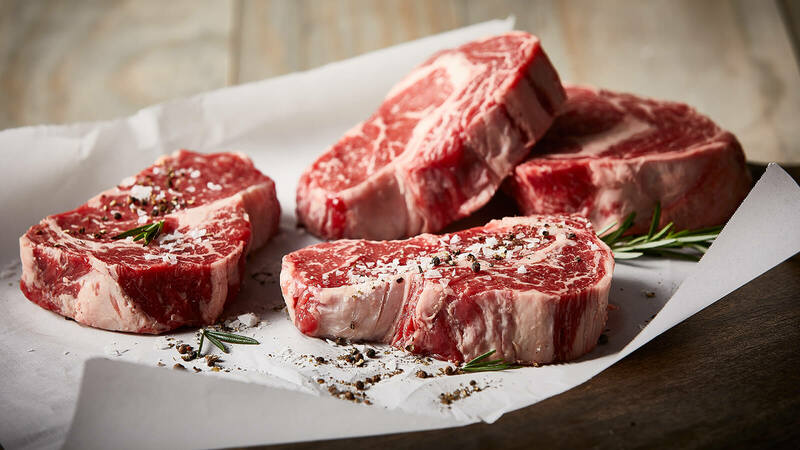 While you can’t go wrong with any of our Prime cuts, some are more popular than others—including NY Strip Steak, Rib-Eye Steak, Filet Mignon and Whole Beef Tenderloin. These guest favorites are tender, juicy, flavorful and always a cut above. USDA Prime NY Strip Steak — This iconic steak is cut from the loin and beloved by meat-eaters. You might know it as Kansas City steak. 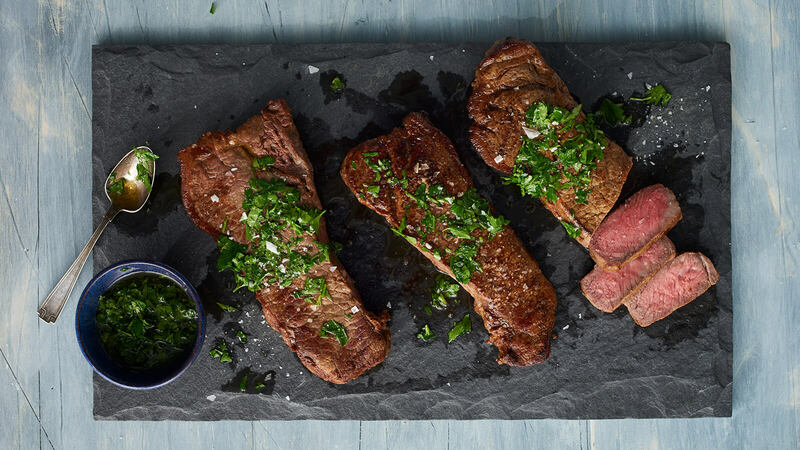 We recommend enhancing this cut with simple ingredients, like the oil used in our recipe for Grilled New York Strip Steak with Garlic Herb Oil. USDA Prime Rib-Eye Steak — Rib-Eye steaks are known for both tenderness and rich flavor. When you choose Prime Rib-Eye steaks, the naturally high intramuscular fat makes it ideal for grilling (remember: marbling matters! ), and the result is tender and incredibly juicy. USDA Prime Filet Mignon — The most tender of all beef cuts, Filet Mignon is highly desirable for its versatility and rich flavor. Excellent pan-fried, grilled or broiled, especially when served with a complementary sauce. Our Rosemary Crusted Filet Mignon is a real show-stopper! 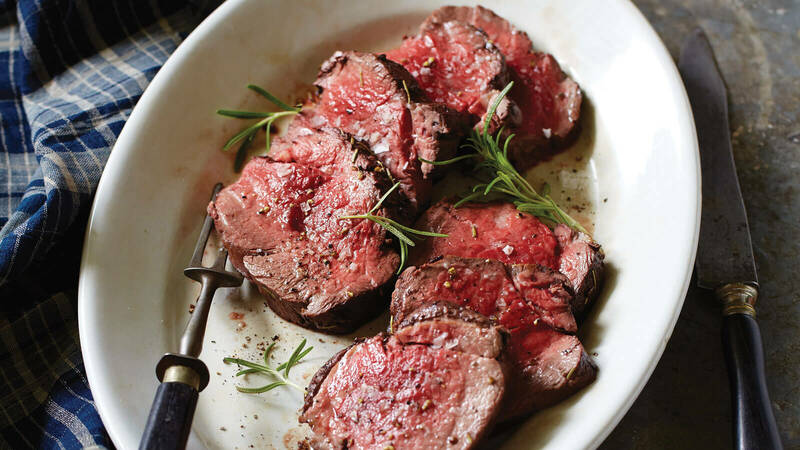 USDA Prime Whole Beef Tenderloin — This cut is juicy, easy to cook and a delicious way to impress a crowd without spending hours in the kitchen. Our butchers will gladly trim and tie the entire tenderloin or cut into Filet Mignon steaks of your desired thickness. Searing and grilling tips for outstanding USDA Prime beef. We always want to offer our guests the very best, most delicious ingredients—from sides and seasonings to extraordinary entrées like USDA Prime beef. Our expanded selection of Prime lets you enjoy restaurant-quality steak in the comfort of your own home, cooked and seasoned just the way you like it. 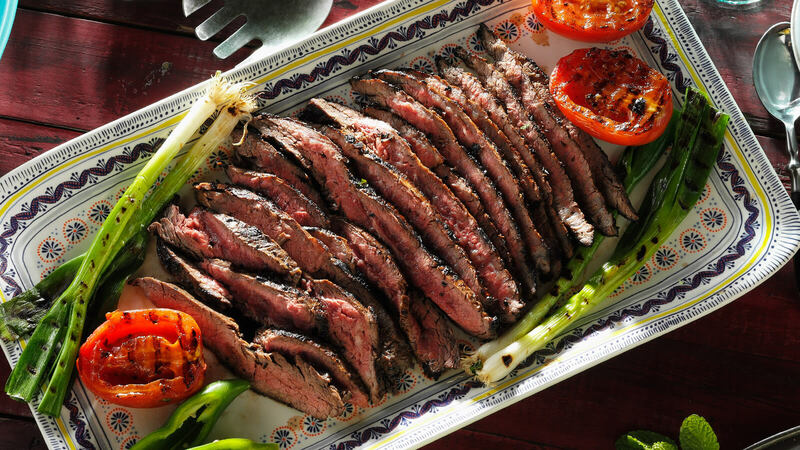 Carne Asada is one of our favorite ways to enjoy Flank Steak. USDA Prime Flank Steak Cut from the underside of beef, this area yields especially flavorful meat that’s best served medium-rare. This cut is very lean so we recommend marinating it for extra moisture. Pro Tip: To ensure tender slices, use a thin, sharp knife, held at a slight diagonal, and cut your flank steak into thin slices across the grain. USDA Prime London Broil Try rubbing this thick steak with a spice mixture or marinating it for even more juicy flavor. It’s best grilled or broiled, then thinly sliced across the grain (similar to Flank). USDA Prime Short Ribs We sell our short ribs with the bones cut apart. Short ribs are excellent braised, as the bones release extra flavor and richness into the sauce. They reach their tender peak when slowly simmered. Try our recipe for Short Ribs Provencale—you won’t be disappointed! USDA Prime Chuck Roast This shoulder cut is packed with flavor and is the classic choice for pot roast. The best way to cook chuck is to braise it on a stove or in a slow cooker. Pro Tip: If you’re braising on the stove, let the chuck simmer for at least two hours until it’s fork-tender. USDA Prime First Cut Brisket — One of the tastiest beef cuts, especially when prepared with patience. Brisket is often cut into two portions: the thinner and leaner first cut, and the larger point. We offer the first cut brisket for smaller yields and reduced cooking times. Pro Tip: Coax this cut into maximum tenderness by barbecuing or braising the meat slowly over low heat. USDA Prime Rump Roast, Eye of Round & Bottom Round Roast — These cuts are all from the back leg of the beef and are best cooked in the oven to create surface browning for maximum flavor. Be sure to cook these roasts no more than medium-rare and thinly slice the meat across the grain. USDA Prime Sirloin Tip Roast The sirloin is nestled between the loin and the round. Prime cuts from this area boast the tenderness of the former and the rich beefiness of the latter. As the name implies, Sirloin Tip Roast should always be roasted. 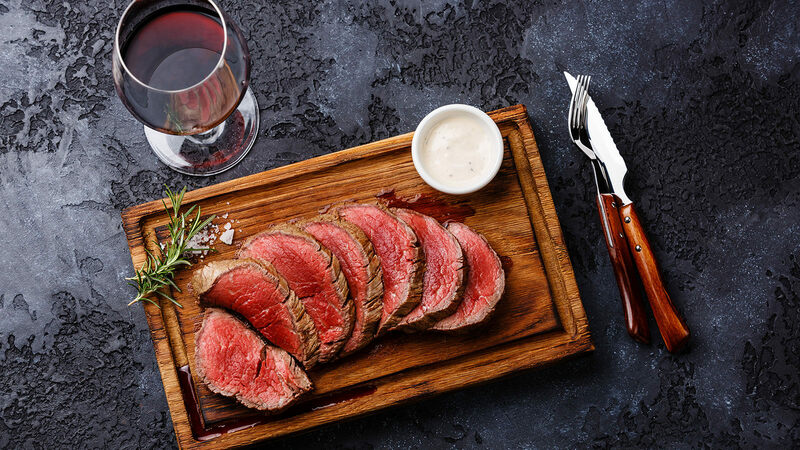 Perfectly Prepared Rump, Eye of Round, Bottom Round and Sirloin Tip Roasts It's easy to get these USDA Prime Roasts oven-ready, and even easier to enjoy the delicious results! First, season the meat with coarse salt and freshly cracked black pepper. If you wish, poke the roast in about 12 places with the tip of a knife and insert a sliver of garlic into each cut. Place on a rack in a roasting pan. Roast in a 400°F oven for 15 minutes. Reduce the heat to 350°F and continue roasting until medium-rare (125°F), allowing about 20 minutes per pound. Let stand for 10 minutes before carving. 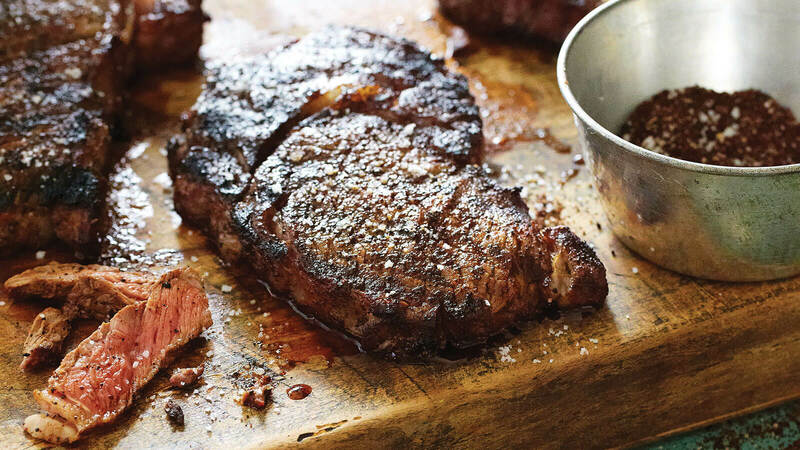 Here are some of our favorite ways to serve up Prime beef for a memorable meal. Copyright 2016, 2017 The Fresh Market, Inc. All Rights Reserved.